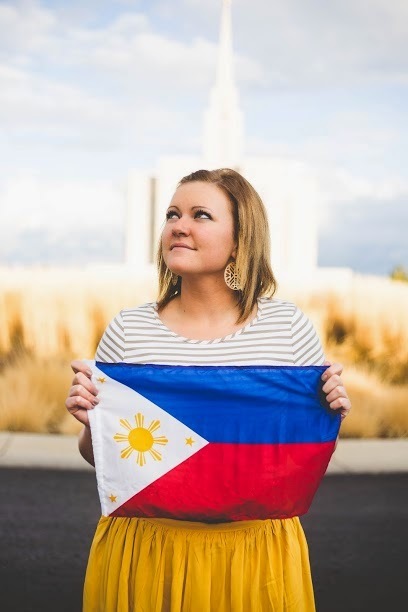 Philippines Cauayan Mission. January 2015-July 2016. Tag along with me & follow my journey! I just can't even explain what I am feeling... especially in English ;) But first off yeah, my last week was really good. There have been so many little tender mercies and miracles. I think sometimes we don't recognize them because they are so little and so often, but looking back we can really see the hand of the Lord in every day. My last Sunday was good. They had me talk/testimony again HAHA. But I was happy to. I'll never get tired of bearing my testimony. I was doing really good and didn't cry and then as we were living this one nanay just started balling.. Poor thing ;) I'm gonna miss them but I know they are eternal friends and I have met them for a reason. Mom! I get to see you in just a few short days.. I haven't really been able to sleep well. I'm nervous but I'm okay. :) I'm really excited to see you. I just want to thank you for everything! I love you so much!! I never know what to do or how to thank you! TAKE CARE. THANK YOU MOM!! See you soon!! I LOVE YOU!!!!!!!!!!!! I GET TO SEE YOU NEXT WEEK!! I'm so so so excited.. but don't worry, I'm still doing my best. Actually working is the only thing keeping me going. I LOVE teaching. And I LOVE missionary work. They had me talk yesterday during sacrament meeting... and then they sang God Be With You Til We Meet Again and Go Forth With Faith.. haha I was like really?? I realized though how much I'm going to miss teaching the restored gospel to the wonderful people of the Philippines. But I know it doesn't have to end… sharing the gospel and being on His errand never really does or should end. It's been humbling to try to really understand people and why they do the things they do. I know I’m not perfect, I have lots of weaknesses myself and wish I could have done better at times, but I have no regrets here in the mission. I know the Atonement is real. And Jesus Christ will help us fill the gaps we can't on our own. It's been a REALLY challenging cycle. But I've learned so much. Like the story of the bush and the gardener.. I'm grateful that He loves us enough to cut us down. Because He knows who we can become. It was never really in my plan to go on a mission.. But He always knew. It was in His plan. He knew I would need these people. He knew. He knows everything. We can give everything to Him and He will carry it for us. I love Him and I love the gospel. I know someday… everything we don't understand will all make sense. But until then we have to exercise our faith and put our trust in Heavenly Father and in His son, Jesus Christ. The rice terraces was a blast! They are so beautiful. The pictures do not do it justice. I've had a pretty crazy last 24 hours though. We traveled to Bambang last night which is a little over 2 hours. We slept with the sisters there and then we had to wake up at ONE AM for all of us to be ready by 2 am to leave for the rice terraces. So we could be there for the sunrise. We got up there about 5:30. And then we hiked up all the terraces. I AM TIRED. Good thing there was stairs... about a million of them haha but there were some parts that were pretty sketchy and no stairs. It's crazy cause there's all these random houses up in there, and people live there! They don't speak Tagalog. They have some other crazy dialect so that was kinda crazy. Hopefully you get the picture with the cute old ladies! They are all 90 plus. It was super fun though. Got a few souviners. And then we left and got back to Bambang about 1 pm and left again for Santiago. We got back here about 4. CRAZY! So much travel haha. One of our older sister investigators is going to be baptized on July 30. She is soooo... amazing! I can't really explain it in english right now.. but she is the one that said she would die a catholic. HAHA. It's just amazing what the gospel and the Atonement can do for a person. I was pondering about two of our investigators this morning and realized something. Since one is blind.. we haven't really had a chance to focus on the book of mormon with her. And the other doesn't know how to read. I think that is what's lacking in their conversion. The power of the Book of Mormon. We've tried teaching the lessons over and over, praying, fasting, and nothing has seemed to help these two. HELLO SISTER ETHINGTON. It's the Book of Mormon!! So we are going to read to them, and commit their family to do so as well. I know this will help them feel the Holy Ghost and be able to gain a witness for themselves that the book is true. I love the Book of Mormon! I know that it's true and such a powerful tool. We all need it. No matter what our condition. I'm grateful for the sacrifices of those prophets for US. For us to learn more of Jesus Christ and His gospel.